NextPast and Present: The Ortakoy Mosque, Istanbul. When Julian first took command of his Gallic armies at the end of 355, he was almost twenty-four years of age. Young and inexperienced, he was irritated at first, to discover that his military commanders, appointed by Constantius as Julian’s babysitters, would belittle his authority. 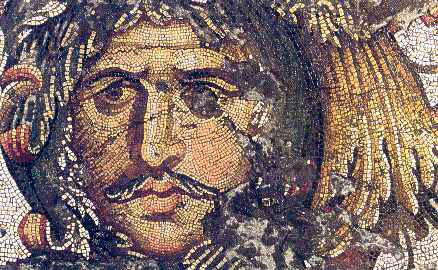 To add to his woes Julian played second fiddle to Constantius during his first campaign in 356. This was expected considering he had no military experience, and despite his enthusiasm to please his cousin. With Constantius leading the major operation along the Rhine in the south against the Alamanni, and Julian in support along the northern most stretches, their combined presence would prove pivotal in showing the northern tribes that the Romans were once more united. In essence the campaign was a demonstration of Roman force. Julian to his credit played his role during the campaign with honour and duty. He won many skirmishes and it was Julian, rather than the men Constantius had sent to watch over him, that liberated the towns of Autun, Troyes, Rheims and many more. Towards the end of the campaign, he even brought relief to Cologne, which had been besieged by the Franks some ten months earlier. 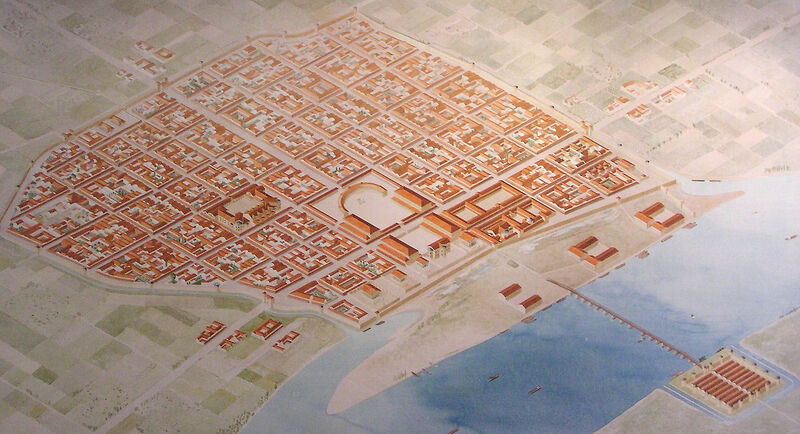 An aerial view of Colonia Agrippina (Cologne). Sacked by the Franks in the mid 350’s, it would be liberated by Julian in 356. It would be left to Julian, with Constantius’ decision not to take personal command of the army the following year in 357, to inculcate once more the fear of Roman might. Very similar to the previous years campaign, Julian would enact a pincer movement heading northwest, while Barbatio, the new Master of Soldiers, acting as Constantius representative, would head north from Raetia. It was envisaged that the combined attack would continue to bring stability to the northern frontier, while at the same time striking fear into the heart of the northern tribes.The campaign season of 357 would also prove to be important for Julian, in consolidating his rule and further gaining the loyalty of his men. In what seemed an uphill battle at times, with Constantius spies hampering his every movement, would Barbatio play the same game against Julian? There is evidence to suggest that he did, burning boats that Julian asked to use, to mount a skirmish against tribesmen hauled up on small islands on the Rhine; and even more damning was the burning of the supply of grain gathered by Julian for the army. Another school of thought suggest Julian was partly to blame for the lack of cooperation between the two. Julian wasted time in secondary operations, when he was supposed to have rendezvoused with Barbatio in the joint operation. The delay was disastrous for Barbatio, as he and his army would suffer the indignity of being routed and most of their baggage captured by a large Alamanni force. To add to Julian’s woes, Barbatio ended his campaign by retiring the rest of his troops to winter quarters, while he personally returned to Constantius’ court to report unfavourably against Julian. Sunset on the Upper Rhine near Mannheim. This area of the Upper Rhine was possibly patrolled by Julian’s troops in their attempt to win back imperial control of the frontier? Julian found himself alone on the Rhine with a small force of around 13,000 men. This was not ideal now that he had no support from Barbatio. The Alamanni sensed an opportunity to strike again but this time against Julian near Strassbourg. They offered him a way out by demanding he leave them in peace. Julian, of course, refused and seeing that his choices were unappealing, in true Roman flair decided to meet the enemy head on. Persuaded to attack the Alamanni by his officers without stalling, Julian’s cavalry advanced to the right of the enemy, and so began the all important Battle of Strassbourg, against some 35,000 Alamanni troops. (The rest of Julian’s army -centre and left- was made up of infantry. Julian, himself, rode a horse just behind the centre with a small reserve of calvary, who acted to protect the Caesar.) Disaster initially struck the Romans as the cavalry broke and fled in disarray. Julian managed to rally some of them to stand and fight amongst the infantry. It was the infantry on the left that savaged the moment and pushed the Alamanni back and in doing so sprung the ambush that was set them. It was around this time that the seven Alamanni kings, two of these – Chnomodar and his nephew Serapio – who were in command, sheepishly dismounted their horses, after their troops bitterly complained that while they could save their lives by riding away, they were on the ground in far more danger. With the Alamanni leadership now in the thick of it, it spurred their fearsome warriors to charge and penetrate Julian’s centre. The battle preceded to see-saw back and forth, but in the end Julian’s troops discipline and “staying power” outlasted the exhausted Alamanni. The tide had turned and the enemy was in full retreat with Julian’s troops harassing and butchering the Alamanni as they fled for the safety of the opposite bank of the Rhine. Some 6,000 Alamanni had died during the battle with apparently minimal losses to the Romans. Victory was sweet for Julian and even more sweeter was the capture of Chnomodar, the great Alamanni leader. He was eventually sent to Rome, where he died a broken man. But Julian wasn’t satisfied. His army carried the offensive into the heart of the enemy’s land sacking and burning many villages to deter future incursions. Portrait of a barbarian. Could this figure be any resemblance to the Alamanni king, Chnomodar? From what so easily could have been a disaster, with the loss of Barbatio’s cooperation and strength, somehow became Julian’s greatest moment as Caesar? His rout of the Alamanni was absolute and even genuinely acknowledged by Constantius himself. Strassbourg could arguably be seen as Julian’s ‘make or break’ moment. Julian probably privately thanked Zeus and the gods for his good fortune. Even Constantius looked favourably upon Julian by entrusting him with real authority. In the two years that followed the great victory at Strassbourg, Julian added many more victories to his resume and consolidated his rule in Gaul. Importantly, he built up a small group of supporters and fighting units that were loyal to him. By the end of the decade, he was immensely popular among his soldiers and even more popular amongst the communities of Gaul because he reduced the oppressive burden of taxation. However, his most important achievement was reestablishing imperial rule along the whole length of the Rhine frontier. But even with all his runaway success, he was always weary and conscience of the huge shadow that towered over him from the east. Constantius was becoming fearful of Julian’s rise. In an attempt to bring him down a peg or two, Constantius sacked and replaced many of Julians trusted advisors, but to no avail. In the end he resorted to a plan to strip Julian of his army. What Constantius didn’t count on was the hostile reaction of Julian’s army. Adrian Goldsworthy, In the Name of Rome: The Men Who Won The Roman Empire, Phoenix, 2004. Antonio Santosuosso, Storming the Heavens: Soldiers, Emperors and Civilians in the Roman Empire, Pimlico, 2004. Photo Credits: All images used are in the public domain. The image of the sunset over the Upper Rhine is used under the Creative Commons Atrribution 3.0 license. Chnomodar and Serapio getting off their horses to rally their troops – what a moment! Were the Alamanni a less regimented society than the Romans? I can’t imagine a Roman general doing something like it. Interesting reading about Rome’s last pagan emperor. Past and Present: The Ortakoy Mosque, Istanbul.